Liquefied� petroleum gas (LPG) is used much less for cooking in Myanmar than it is in other countries in ASEAN and needs to be promoted, industry officials say. Officials of the World Liquefied Petroleum Gas Association said this during the Myanmar LPG Summit 2019 in Yangon last week. The association represents the full LPG value chain, with members from over 260 firms in 125 countries. Compared with Thailand or Bangladesh, LPG use in Myanmar is low, and there are many things that can be done to increase its use in Myanmar, one association official said, adding that LPG is an excellent substitute for firewood and charcoal, and its wider use would help the environment. “The LPG market in Myanmar still has a lot of room for progress in the public and private sector,” said the association’s Communications Director, Alison Abbott. The Myanmar government is trying to promote the use of LPG across the country in place of firewood for cooking and of electricity. Per capita LPG use in Myanmar is low compared to other nations, and attempts by the government to develop the market have good potential, the association said. “Ninety kitchens out of 100 in other ASEAN countries use gas stoves, but in Myanmar, only five kitchens out of 100 use it. In Myanmar, 95 percent of kitchens should use LPG for cooking. There was plenty of wood and coal in the past, but now the amount of forested area in the country is dropping, creating environmental issues. LPG could play a vital role for Myanmar, saving money and the natural environment,” U Pyae Wa Tun, chair and CEO of Parami Energy Group, said. 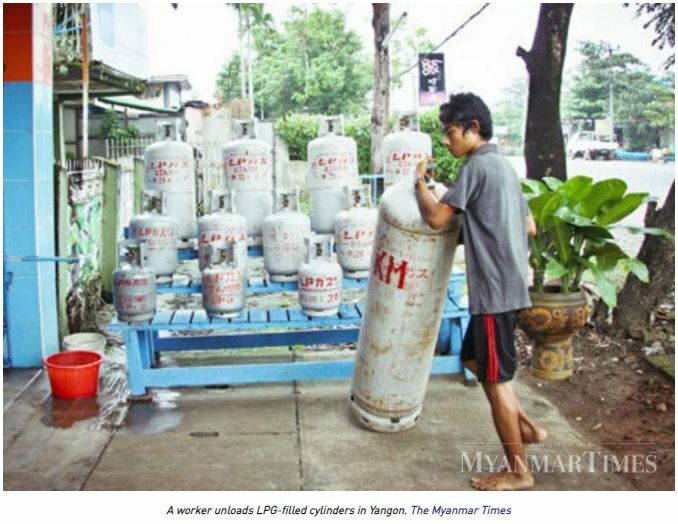 While policies are being worked on to widen the LPG market in Myanmar, consumers and businesses also have a role to play. Enough demand for LPG would help to create opportunities to produce and supply gas for cooking, U Pyae Wa Tun said.